Notice that in critical analysis examples, critical analysis has subjective roots since its contents reflects on the evaluation of the one who writes it. 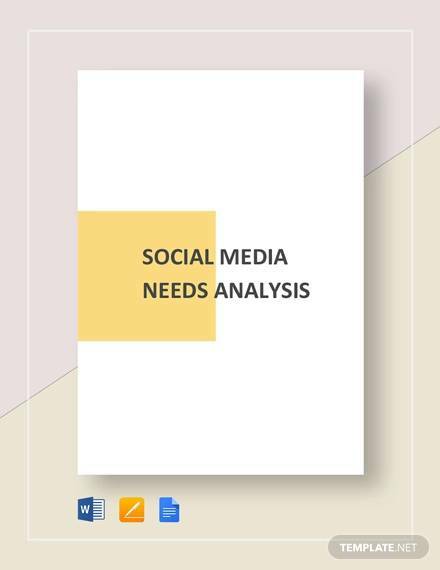 On the other hand, needs analysis is a process wherein you determine the needs of the particular organization or group, it depends on the needs assessment results. Equally important is the SWOT analysis. This stands for strength, weakness, opportunity, and threats. Most companies use this needs analysis to compare your company to others. This is a way of awareness on your strength, the weakness you have to address, opportunities to take, and the threats you have to face. Training needs analysis is usually done by the human resource management. A training for the employees requires a huge amount of budget; it needs time that would surely take away from work; the cost and effectiveness of training is also considered, that is why the company should benefit from any training given to the employees. 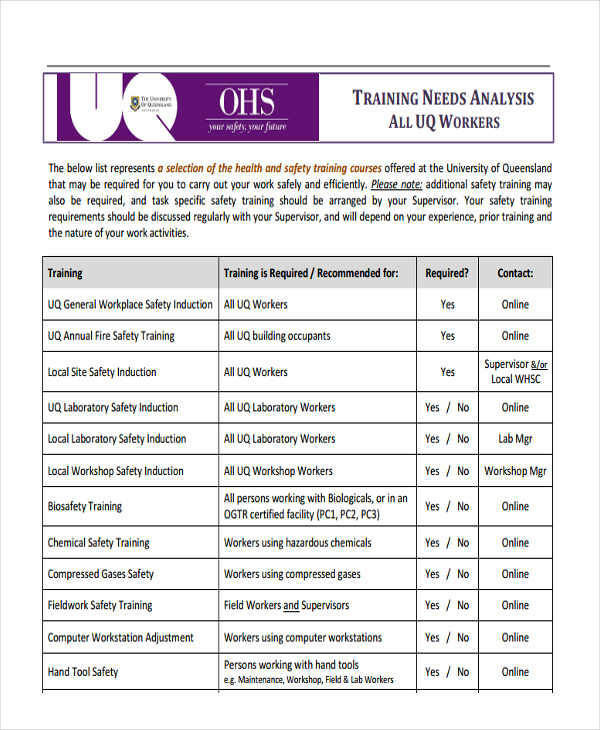 This analysis will determine if the previous training implemented to the employees were effective and if there is still follow-up training needed. 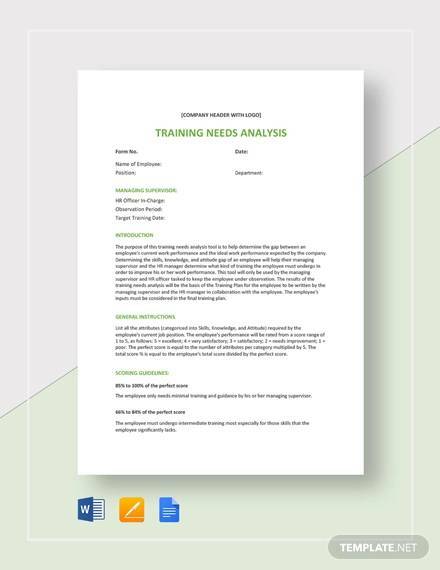 Analysis samples are also helpful where to start and what to include in the training needs analysis. 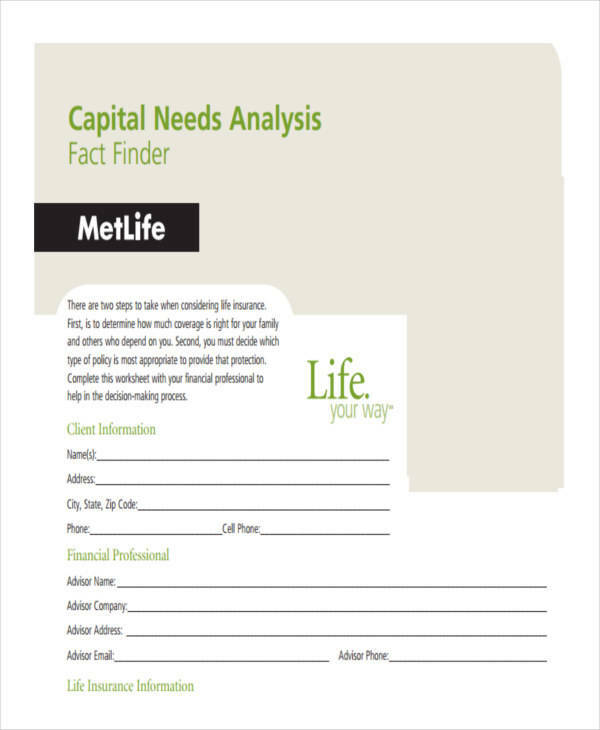 Why Is a Needs Analysis Important? While research analysis is a way to inspect the research, focus of the study, what needs to be revised and remodel, needs analysis is much like the former. It is a way to know what kind of training should be given to address a problem, which qualities they have to develop, skills they need to work on, and what new knowledge they need to know. It is important to conduct needs analysis to enhance the skills and improve the output of the employees. There should be a return of investment as expected by the company. Identify the outcome goal. Focus on what you want to achieve at the end of the training. Comprehend what skills are needed that aligns with the outcome goal. List down what skills and qualities are needed to achieve the goal of this training. Determine which skill is trainable. Find out the performance gap of the employees. This will help you set a standard on the performance, who are below the standard, and estimate how many employees need this kind of training. Choose what training method to use. There are variety of methods to choose from, like mentoring and coaching, seminars, conferences, etc. 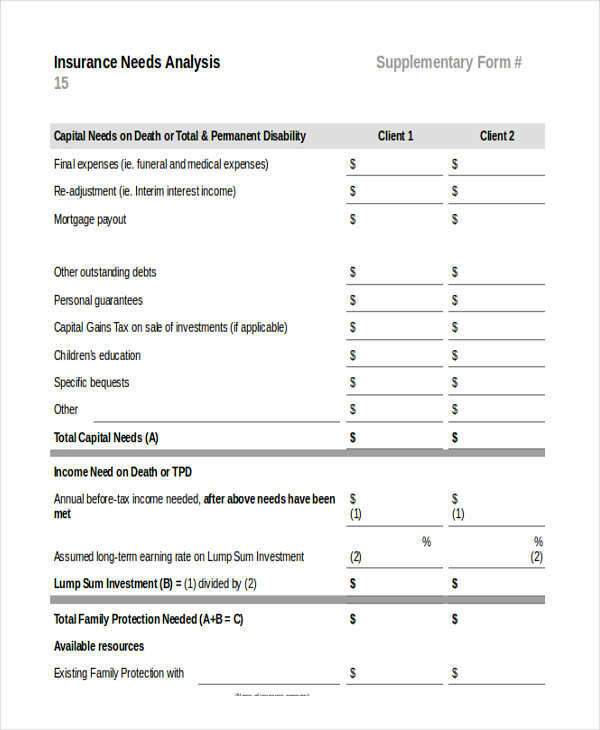 Weigh the cost and benefits. This is another investment by the company. Make sure that the benefit is greater than the cost, and if possible, the company will benefit for a long time. Set a reasonable period for training. When you set a period of training, make sure that it is appropriate for the information to be effective to the employees. 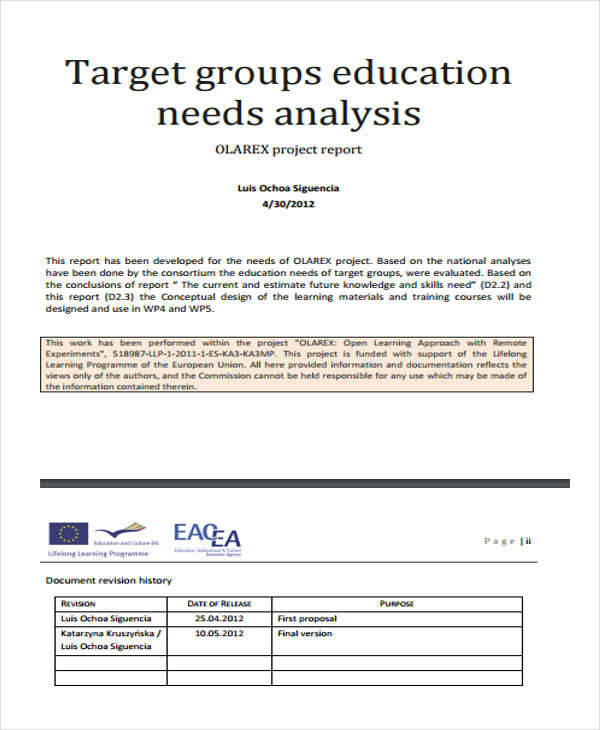 Implement the training needs assessment. 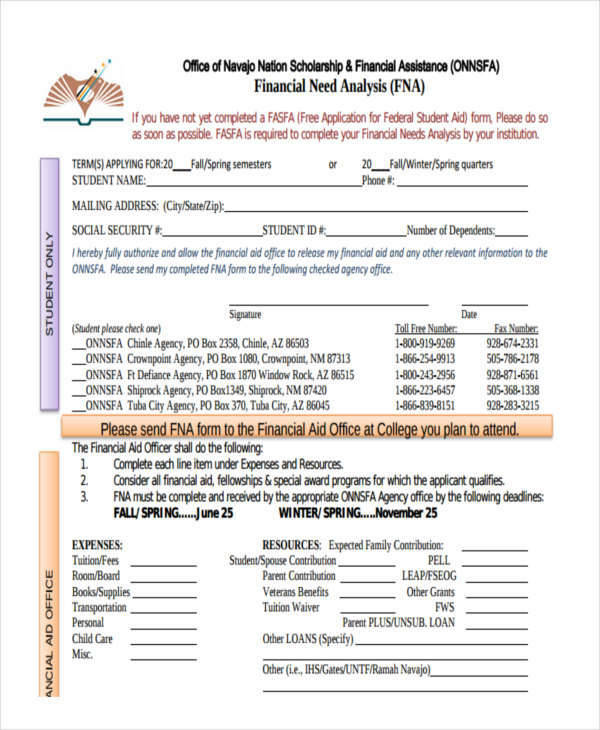 This assessment is the tool to gather results and information that you will use for the needs analysis. 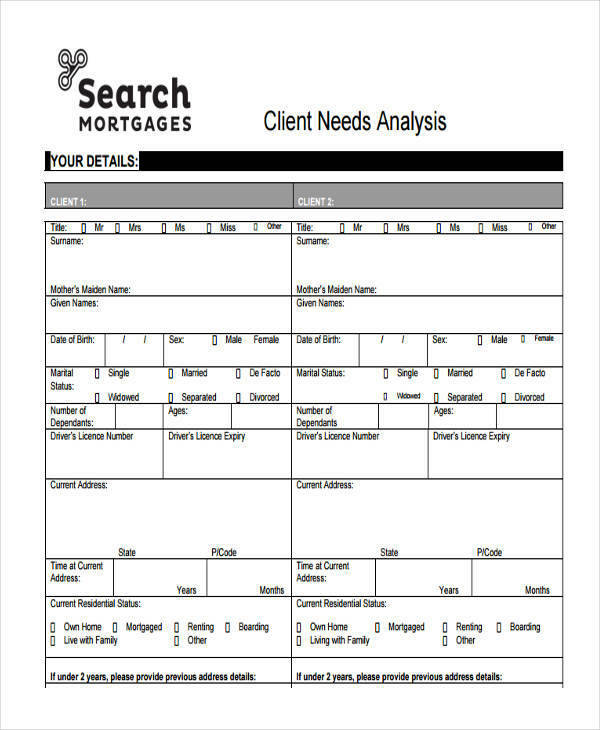 Needs analysis focuses on the employees and the organization’s issues. 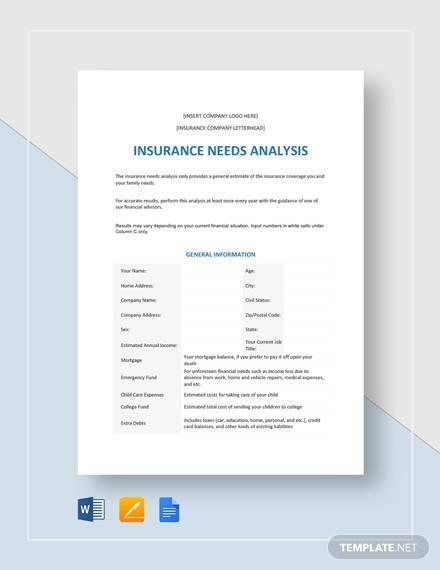 Additionally, one of the analysis examples is market analysis, which focuses on the market’s wants, demands, and needs.